First off, I want to say that I have no ill will toward your team nor you, the fans. 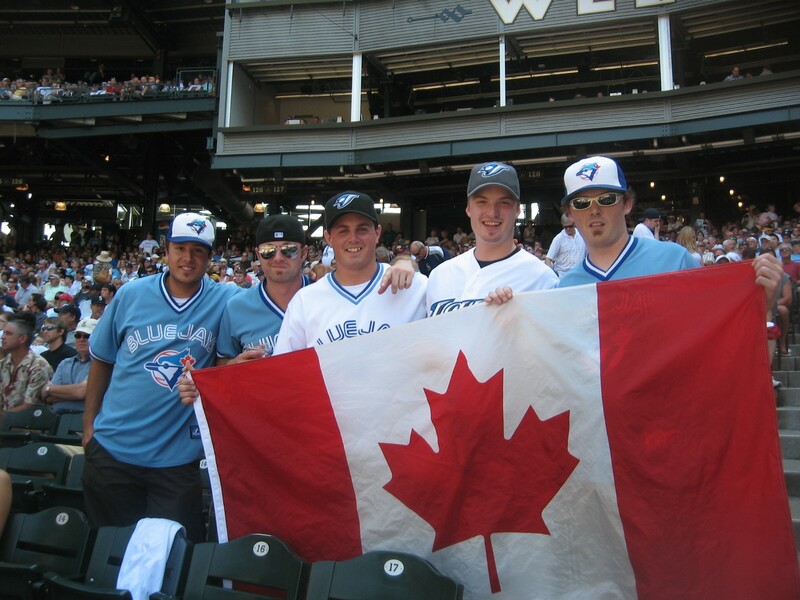 I’ve always loved our neighbors to the North and love that baseball has at least survived in Toronto. You’ve also given me a great joy, seeing former Wichita State Shocker Joe Carter hit a walk-off home run to win the World Series back in 1993. So what I am about to tell you is not a threat as much as a warning. You see, as a Kansas City Royals fan I feel I need to warn you about what your team has gone and done. I’m sure you think it is no big deal, and maybe you are right. You might not even have to deal with this, as this could be a bigger issue for your AAA team in Buffalo. But I feel you need to be warned. I feel you need to know about the frustration just around the corner. 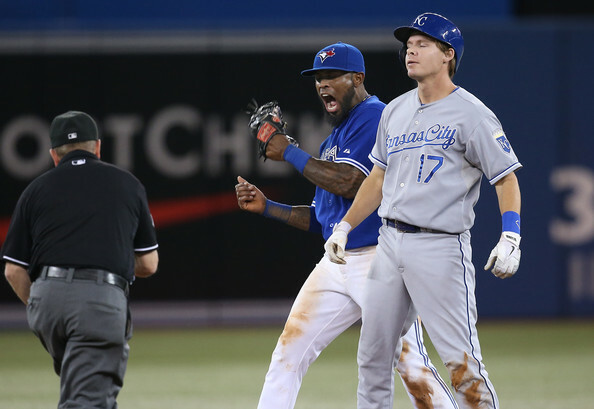 I feel you need to know just what you have now that the Blue Jays have signed Chris Getz. 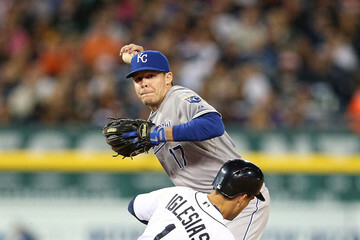 You might be chuckling right now, thinking to yourself “oh, this can’t be that bad.” Royals fans thought the same thing when Getz was acquired from the White Sox before the 2010 season. What has happened over the last four years has scared us to the bone. We didn’t realize we got a player who would be overvalued by management. We didn’t realize that they would think he was ‘#mistakefree’ despite us not being blind. We didn’t think there would be so much bunting….oh, good lord, the bunting. Seriously, there was soooo much bunting. You should go ahead now and just make it against the rules to bunt in Canada. I’m telling you, it will save you so many angry moments. I know the Rogers Centre is known to be an offensive ballpark and has quite the home run rate. That might be true, but don’t expect any long bombs from Getzie. I’m not even sure we could say he has “Warning Track Power”. It’s more like “Shallow Right Field Power”. Every now and then he might get lucky; he hit a few homers during his time in Chicago and hit one this past year in Atlanta. 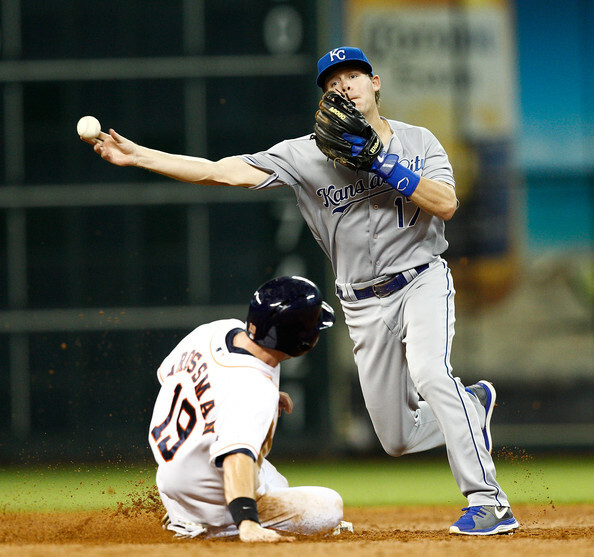 But by no means should you expect any extra bases from Getz. He singles, he bunts and sometimes has the occasionally liner down the line. Expect a true ‘Punch & Judy’ type hitter from this average second baseman. Yes, he would be like a Muppet(look up Punch & Judy, folks)! I love the Muppets and Chris Getz is no Muppet. Maybe Scooter. No one really likes Scooter. So maybe that Muppet, but that would be it. Statler and Waldorf laugh at you, sir. Defensively, you are getting an average second baseman at best. Sure, you might get told he is above average defensively, but they are lying to you. Getz is serviceable at second, but he is nothing special. He’s a step slower than he should be, and makes the routine play easily enough. But that is it. Once again, we were told over and over what a great defensive player he is. Royals management forgot that a lot of us saw Frank White play. That is a superior defensive player. Getzie is no Frank White. At this point you might be thinking “but what are the chances he actually makes the big league club”? Under normal circumstances I would tell you a slim chance, but logically he shouldn’t have been the Royals primary second baseman for almost four years. Logic doesn’t always win out in the end. Add in that Toronto’s manager is John Gibbons(former Royals bench coach) and their new hitting coach is Kevin Seitzer(former Royals hitting coach) and you can see where Getz might have just jumped to the front of the line for the Blue Jays second base job. I mean, it’s not like Ryan Goins tore up the majors last year during his stint with the Jays. I hope for you, the fans, sake that logic wins out. So Blue Jays fans, I hope I have warned you to what you might have in store this year. Getz will bring back warm feelings about Damaso Garcia or Danny Ainge. Hell, he will make you yearn for the days of Garth Iorg or Homer Bush. If you like an average player who does nothing spectacular but a few things okay, then you’ll be happy. 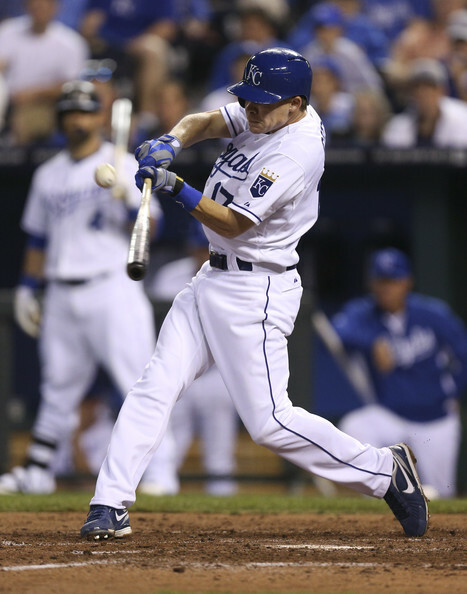 If you prefer your players to use ‘bunting’ as a big part of their offense, you are going to want to make Chris Getz an official Canadian citizen. If not, you are in for a year where you start looking around to see who Toronto could acquire to play second base. You’ll hope and pray that the team wakes up and realizes their mistake. You’ll wish it was all a dream and that you’ll find Patrick Duffy in the shower. I hope you don’t understand this frustration, Blue Jays fans. But if you do, trust me when I say that us Royals fans will feel your pain. He might be your problem now, but we still have the scars from the four years of Getz.